President Recep Tayyip Erdoğan on Saturday called on People's Protection Units (YPG) terrorists to leave Syria's northwestern Manbij "as soon as possible." "Our goal is the exit of terror groups PYD/YPG from Manbij as soon as possible," Erdoğan said at a joint news conference with his Ukrainian counterpart Petro Poroshenko in Istanbul after the 7th meeting of Ukraine -Turkey High-Level Strategic Cooperation Council. The issue was also discussed in a phone conversation with U.S President Donald Trump on Thursday, Erdoğan said. He said that he raised the issue of the state-owned Halkbank, which had an executive charged in New York for taking part in a scheme to evade U.S. sanctions on Iran. Turkey maintains Halkbank did not violate the sanctions. Erdoğan stated that Trump "said he would immediately instruct his ministers about this." It was not clear what Trump could do. Erdoğan said he will also meet Trump on sidelines of international meeting due to be held in Paris on Nov. 10-11. The strained relations between the two countries ease following Turkey's release of American pastor Andrew Brunson, who was sentenced for terror links after two years under arrest, but was allowed to walk free given the time he spent in jail. 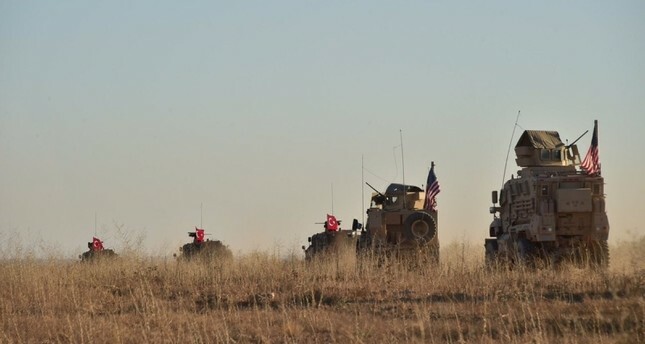 On Friday, Turkish National Defense Ministry shared footage of the first round of the Turkey-U.S. joint patrols in Manbij that was conducted as part of the deal between the two countries. The Manbij deal reached between Turkey and the U.S. in June focuses on the withdrawal of YPG terrorists from the city to stabilize the region, which is in the northeast of Syria's Aleppo province. The YPG is the armed wing of the PKK's Syrian offshoot Democratic Union Party (PYD) and constitutes the dominating force in the U.S. backed Syrian Democratic Forces (SDF), which controls one-third of Syrian territory.